Engineering the Pluripotent Stem Cell Niche for Directed Mesoderm Differentiation. Cell Mechanobiology in Regenerative Medicine: Lessons from Cancer. 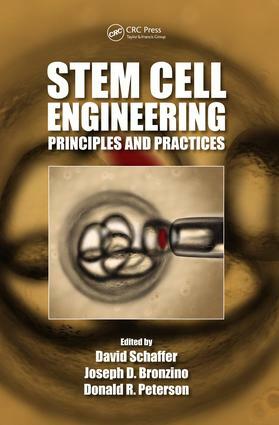 Systems-Engineering Principles in Signal Transduction and Cell-Fate Choice. Biomaterial Scaffolds for Human Embryonic Stem Cell Culture and Differentiation. Stem Cells and Regenerative Medicine in the Nervous System. Stem Cells and Regenerative Medicine for Treating Damaged Myocardium. Stem Cells and Hematopoiesis. Synthetic Biomaterials and Stem Cells for Connective Tissue Engineering. Derivation and Expansion of Human Pluripotent Stem Cells. Bioreactores for Stem Cell Explansion and Differentiation.